Health EU initiative makes important steps towards strategic recognition and launches its Manifesto to unify Digital Healthcare in Europe! In a competition with many excellent projects, and, as a result of the 2nd phase evaluation of Coordination and Support Actions for FET Flagships, Health EU was recognized as the leading project on Human Avatars and Digital Healthcare and is currently in a potential position for future funding. 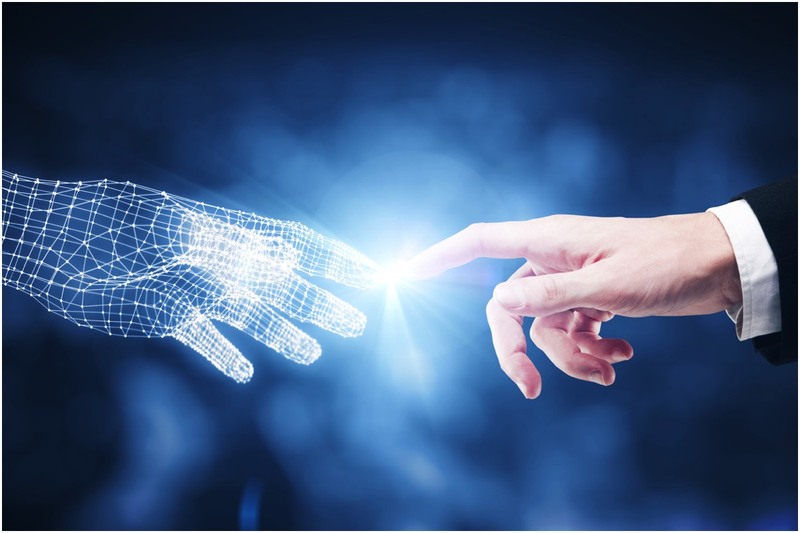 Health EU management is looking with strong conviction into a bright future of a European mission on creating the first European Integrative Human Avatar Platform under the umbrella of Digital Healthcare enabled by Artificial Intelligence and Internet of Things. 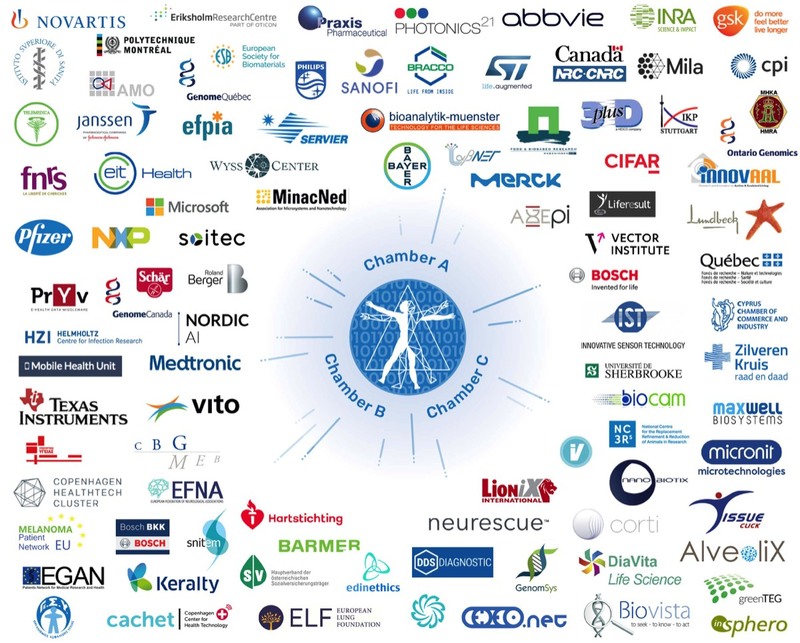 Today, we launch the Health EU Manifesto to unify all forces in medicine, biology, social sciences and engineering Europe under the visionary concept of Human Avatars for personalized, preventive and participatory healthcare. We invite all interested universities, research institutes, hospitals, industries and citizen/patient associations and other stakeholders to sign our Manifesto as an expression of direct support! Meet us at the RTO Innovation Summit! Imagine a revolution in personalized healthcare and disease prevention system in Europe, based on human avatars of healthy individuals and patients for the prevention, interception and cure of disease. Nothing less is the aim of Health EU (healthy you! ), an advanced FET Flagship multidisciplinary research initiative in Europe aiming for a paradigm shift to healthcare and for a future sustainable healthcare system. A revolution in human model development is now possible with Health EU by leveraging data from omics analyses, medical and imaging data, environmental and life style big data that are continuously updated by a multitude of biosensors at an unprecedented scale. With these complex data sets, first of their kind(s) human avatars will be built that can be personalised and used to prevent and cure each one’s own disease(s). Health EU will exploit most advanced organ-on-chip, smart nanosensor technologies and nanomedicine techniques to realise, validate and use such personalized human avatars in order to create a revolution in healthcare. Health EU will boost European innovation and create disruptive advances related to big data analytics, smart micro/nano-systems, nanomedicine and new healthcare services and safer and more effective drugs. It will directly contribute to standards for privacy and security of healthcare data, jointly driven by technology and context. Health EU FET Flagship will provide a truly sustainable approach to healthcare and a better Quality of Life to European citizens. Alexander M.M. Eggermont is Professor of Oncology and Director General of the Cancer Institute Gustave Roussy, the premier comprehensive cancer center in Europe. His is the current President of the European Academy of Cancer Sciences (EACS) and the Chair of the Consortium Cancer Core Europe. He is a surgeon and tumor immunologist and a melanoma, sarcoma and drug development specialist, in particular immunotherapy, and a fellow of the NCI-NIH Surgery Branch (Steven Rosenberg). Amongst others he was the PI of TNFalpha, Pegylated Interferon, Ipilimumab and Pembrolizumab trials that all resulted in FDA and EMA approvals. He was Head and Professor of Surgical Oncology at Erasmus University Medical Center 2000-2016, and former president of ECCO and EORTC. Among many academic awards he received Joseph Maisin Chair of the Université de Louvain, Society or Surgical Oncology Clinical Research Award, Dutch Surgical Society Award, ASCO Statemens Award, University of Essen Doctorate Honoris Causa. 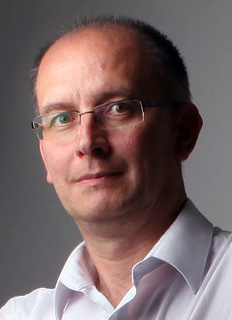 Adrian M. Ionescu is a Professor and Director of the Nanoelectronic Devices Laboratory at Ecole Polytechnique Fédérale de Lausanne (EPFL. His group pioneered new concepts in beyond CMOS devices and technologies. He is the recipient of the IBM Faculty Award 2013 and of the André Blondel Medal 2009 of the Society of Electrical and Electronics Engineering, Paris, France. In 2018 he and his co-authors received the IEEE George Smith award for the best paper of IEEE EDL, a leading journal of the Electron Devices Society. He is an IEEE Fellow and a member of the Swiss Academy of Sciences (SATW). In 2016 he was awarded an Advanced ERC Grant to develop energy efficient millivolt transistors and sensors for Internet-of-Things. In 2018, he was appointed as a Chair of the PE7 Committee of the European Research Council (ERC). He was coordinator of many FP6, FP7 and H2020 projects, including the FET Flagship CSA Guardian Angels for a Smarter Life, invited as one of the four finalists in the previous Flagship competition. Albert van den Berg received his PhD in 1988 at the University of Twente. From 1988-1993 he worked in Neuchatel, Switzerland, at the CSEM and the University (IMT) on miniaturized chemical sensors. In 2000 he was appointed as full professor on Miniaturized Systems for (Bio)Chemical Analysis at the University of Twente. He published over 450 peer-reviewed publications and from his group over 10 spin-off companies started. He received several honors and awards such as Simon Stevin (2002), two ERC Advanced (2008, 2015) and three ERC Proof of Concept (2011, 2013, 2016) grants, Spinoza prize (2009), Distinguished University Professor (Twente, 2010), Consulting Professor at NPU (China), 2017) and was board member of the Royal Dutch Academy of Sciences (KNAW) (2011-2016). In 2017 he became co-PI of the Max Planck - University of Twente Center for Complex Fluid Dynamics, and was appointed (co)director of MESA+ institute for Nanotechnology in 2018. He has been Professor of Micro and Nanosystems at ETH Zurich, Switzerland, since April 2002. He was Head and Deputy Head of the Department of Mechanical and Process Engineering from 2009 until 2011, and from 2011 until 2014, respectively. He is President of the ETH Zurich Strategy Commission. He held visiting scientist and visiting professor positions at MIT, Cambridge, and at Stanford University, Palo Alto, respectively, both in 2015. He published more than 290 papers in journals and refereed conference proceedings and he is author or co-author of more than 35 granted or published patents. He is designated General Chair of TRANSDUCERS 2019. Since October 2012, he is Editor-in-Chief of the IEEE Journal of Microelectromechanical Systems. He is member and Board member of the Swiss Academy of Engineering Sciences SATW, and IEEE Fellow. He received the Laurea degree in electrical engineering from the University of Bologna, Italy, in 1979. In 1983, 1984, and 1991, he was a Visiting Scientist at the Center for Integrated Systems, Stanford University, Stanford, California. From 1985 to 2001, he was a consultant at Bell Laboratories, Murray Hill, NJ. Since 2002, he is Professor the University of Bologna, where he has been the Dean of the Faculty of Engineering, Cesena Campus (2008-12) and the Head of the Department of Electrical, Electronic and Information Engineering “Guglielmo Marconi” (2012-15). From 2005 to 2011 he has been the Director of IUNET, a Legal Consortium grouping 11 University Groups and today leader in Europe in the Electron Device modeling field. From 2005 to 2015 he has been a member of the CATRENE Scientific Committee and since 2007 he has been a member of the Managing Committee of AENEAS, the private partner of the Public-Private ECSEL European Technology Platform. Since 2014 he is the Director of the SINANO Institute, grouping 23 European Institutes active in the field of nanoelectronics. He is a Fellow of IEEE and a Member of the Academy of Sciences of Bologna Institute. His research interests, in cooperation with research centers and companies such as Bell Labs., Philips, Infineon, ST Microelectronics, AMAT, IMEC, CEA-LETI, include the physics, characterization, modeling, and fabrication of silicon solid-state devices and integrated circuits. 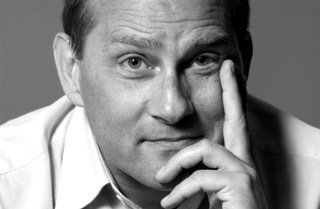 Mikael Östling is the deputy president of KTH and professor of solid state electronics. He is responsible for strategic collaborations and the research infrastructure. His research interests are semiconductor devices and nanofabrication technology. Östling is the editor-in-chief of the IEEE Journal of Electron Devices Society since 2016. Östling is a Fellow of the IEEE. He has >500 publications. His expertise covers device and sensor manufacturing, emerging devices, heterogeneous integration, embedded electronics. Chris Van Hoof is Senior Director Connected Health Solutions and responsible for the R&D direction and business strategy of a multi-site R&D team across 3 imec locations (Eindhoven (the Netherlands), Leuven (Belgium) and Gent (Belgium)). He has a track record of 30 years of initiating, executing and leading national and international contract R&D with worldwide customers. Chris is member of the management team of Stichting imec Nederland. He is also full professor at the University of Leuven and an imec Fellow. His innovation covered the domains of advanced imaging, MEMS, ultra-low-power electronics and connected health. He has given published over 700 publications and has given over 100 invited talks. His work has resulted in 5 startup companies, 4 in the health domain. He is a frequent invited or keynote speaker and recognized thought leader in the connected health domain. 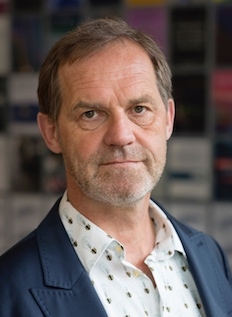 Van den Eijnden-van Raaij is managing director of hDMT. She obtained her PhD as a biochemist at Radboud UMC Nijmegen in 1985. She then became group leader at the Hubrecht Institute Utrecht focusing on stem cells and growth factors in embryonic/ tumour development. In 2003 she became CEO at the Comprehensive Cancer Center South Eindhoven. Under her regime the cancer registry and epidemiological research department developed to the European leader in this field. In 2014 she switched to Organs-on-Chip (OOC) and established hDMT in 2015, a national public-private OOC Consortium of renowned scientists with various backgrounds, who work in academia, companies and UMCs. They share knowledge, expertise and facilities to develop human OOC models, that better recapitulate the human body and will reduce animal experiments. She built a broad (inter)national network on OOC in the H2020 ORCHID project. VP Europe at CEATech Healthcare Institute, based in Grenoble (France). 20+ years of European experience built on collaborative projects, research infrastructures, coordination actions and networks of excellence. General coordinator of the largest EU network on nanobiotechnology Nano2Life, with 450+ participants, 20+ companies coming from 14 EU Member States. Scientific and technical expertise in nanomedicine, drug delivery, medical imaging and innovative medical technologies. Coordinator of the the European Nanomedicine Laboratory, H2020 funded EU infrastructure offering the full physical, chemical, in vitro and in vivo characterisation of nanomaterials intended for medical uses. Mandates: Chairman of the ETPN, European Technology Platform on Nanomedicine; Chairman of ESTHER, the European Industry Driven Initiative on Emerging and Strategic Technologies for Healthcare, in cooperation with Medtech-Europe. Professor at the Department of Computer Science and Applied Mathematics at the Weizmann Institute of Science, heading a lab with a multi-disciplinary team of computational biologists and experimental scientists in the area of Computational and Systems biology. His group has extensive experience in machine learning, computational biology, probabilistic models, and analysis of heterogeneous high-throughput genomic data. His research focuses on Nutrition, Genetics, Microbiome, and Gene Regulation and their effect on health and disease. His aim is to develop personalized nutrition and personalized medicine. Prof. Segal published over 130 publications, and received several awards and honors for his work, including the Overton prize, awarded annually by the International Society for Bioinformatics (ICSB) to one scientist for outstanding accomplishments in computational biology, and the Michael Bruno award. He was recently elected as an EMBO member and as a member of the young Israeli academy of science. Professor Volkmar Falk, MD, is the Medical Director and Director of the Department of Cardiothoracic and Vascular Surgery at the German Heart Institute Berlin and Charité. He is an expert in minimally invasive and robotic cardiac surgery, which he has helped to co-develop. As an author and co-author, he has been involved in more than 450 scientific publications and is co-editor of the European Heart Journal. Professor Falk has further been involved in several national and European guidelines, which have significantly impacted the standards of care for coronary revascularization, treatment of valve disease and cardiac failure. His current research interests include image-guided therapy to optimize catheter-based valve interventions and the development of new artificial heart systems. Peter Ramm is head of Strategic Projects, staff position to the research institution´s director, responsible for initiation and steering of strategic projects and international research co-operations. He received Masters and PhD degrees from the University of Regensburg and subsequently worked for Siemens in the DRAM facility where he was responsible for the process integration. In 1988 he joined Fraunhofer Munich, focusing for more than 25 years on 3D integration technologies. Peter Ramm is author of over 120 publications and 24 patent families. He received the "Ashman Award 2009" from the International Electronics Packaging Society (IMAPS) "For Pioneering Work on 3D IC Stacking and Integration". Peter Ramm is Senior Member IEEE, IMAPS Fellow and Life Member. He was coordinator / work package leader of European projects since FP4 and has served in the “success story” Large-Scale Integrated Project “e-BRAINS” (FP7-ICT-2009-5) as technical manager. Denis GAUVREAU is the Director of International Affairs at Genopole. He is a technology entrepreneur and innovation specialist with over 25 years of achievements in Canada, France and Saudi Arabia. His accomplishments include the creation of the first Canadian genomics company (Algene Biotechnologies) and he also acted as Founder, President-CEO, Executive Chairman, Chairman, Board Director, Counsel, in over 20 early-stage companies. Prior to joining Genopole, he was one of the original members of the group of some 300 Founders of King Abdullah University of Science and Technology (Saudi Arabia) in KAUST’s Department of Economic Development. In his early career, he was Professor at the University of Quebec and at the University of Montreal, where he drove the establishment of a multidisciplinary and inter-institutional research program on the causes of Alzheimer Disease. He obtained his Ph.D. in Pharmacology from the University of Cambridge (UK) and his B.Sc. and M.Sc. in Biochemistry from the University of Montreal. Franz Lärmer joined Bosch in 1990. He developed key technologies and functions for the upcoming field of Micro-Electro-Mechanical Systems (MEMS) with focus on automotive applications. Since 2003, he is Project Director for TOP-level innovation projects in new application fields beyond automotive, including consumer applications and the biomedical area. The Bosch Lab-on-Chip platform which is marketed today by Bosch Healthcare Solutions (BHCS) is among the outcomes of these development efforts. Today he is Senior Chief Expert/Bosch Research Fellow for Microsystems Technologies, Microfluidics and Molecular Diagnostics at the Robert Bosch Research Campus in Renningen, Germany. He was awarded with the prize “European Inventor of the Year 2007 – Category Industry” by the European Commission and the European Patent Office (together with co-inventor Andrea Urban), for the invention, of the “BOSCH-DRIE”-process and received the “2014 IEEE Jun-ichi Nishizawa Medal Award” from IEEE, USA. Cisca Wijmenga is working in the field of gut health using genomics technology to understand health and disease. Her work is focusing on the genetics of celiac disease, the role of the gut microbiome in health and disease and the development of gut-on-chip for more mechanistic research. Her research is interdisciplinary, encompassing the fields of genetics, molecular genetics, epidemiology, immunology, microbiology, computational biology and bioinformatics. She has (co)-authored >550 pubmed-indexed papers, with > 65,000 citations. She was awarded the Spinoza price in 2015 (2,5 million €). She is a member of the Royal Holland Society of Sciences and Humanities (KHMW), the Academia Europaea, and the Dutch Royal Academy of Arts and Sciences (KNAW). The following partners will work together for a year-long coordination action, preparing the final Flagship Initiative. Over 100 partners from more than 20 EU countries already confirmed their interest in participating in the final Health EU Flagship Initiative. The Health EU Stakeholder Forum will play a crucial role in shaping our Flagship vision and its implementation by considering the interactive involvement of big industries, SMEs, startups, patient organizations, regulatory bodies, etc. The Chairs of the Health-EU Stakeholder Forum are Prof. Christofer Hierold (ETHZ) and Dr. Franz Lärmer (VP Corporate Research and Advanced Engineering - Robert Bosch GmbH, Germany). 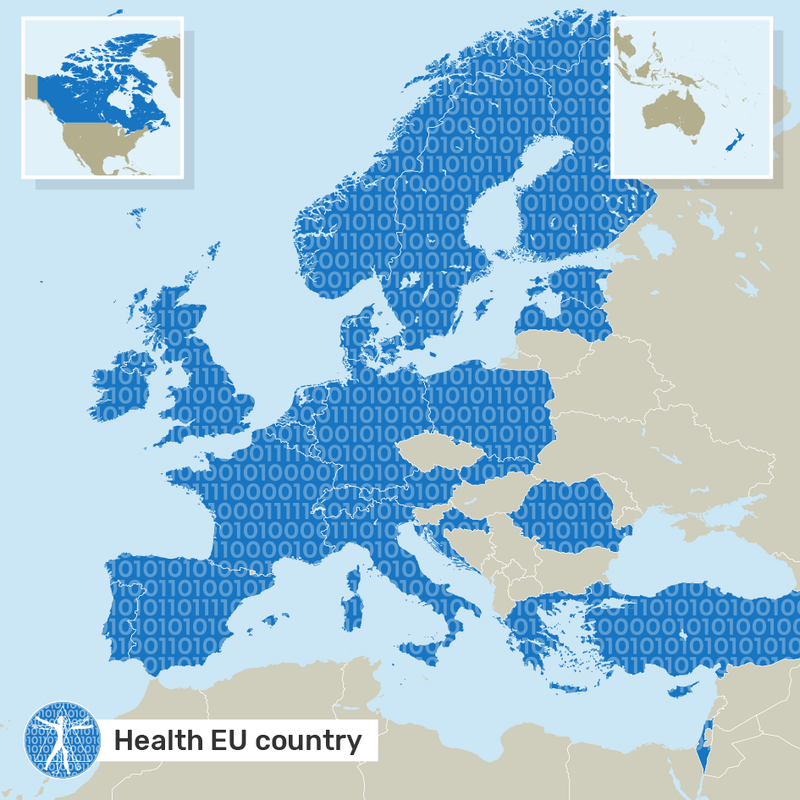 Health EU has been mentioned several times by the popular press. Below a selection of the most relevant articles written about us. Le virtuel, avenir de la médecine?